I’m currently working on an independent study at ULL that will extend into the summer, and one of the two classes I will concentrate on during the summer months is called Virginia Woolf, Vanessa Bell, and the Bloomsbury Group. In preparation for a heavy reading load, I have been on Amazon finding the required books at cheap prices and ordering them one and two at a time. Little did I know that serendipity would play a hand. At first, I searched for a biography of Woolf, but there were several to choose from. Mostly, I just wanted a readable text that would give me an overview of her life. 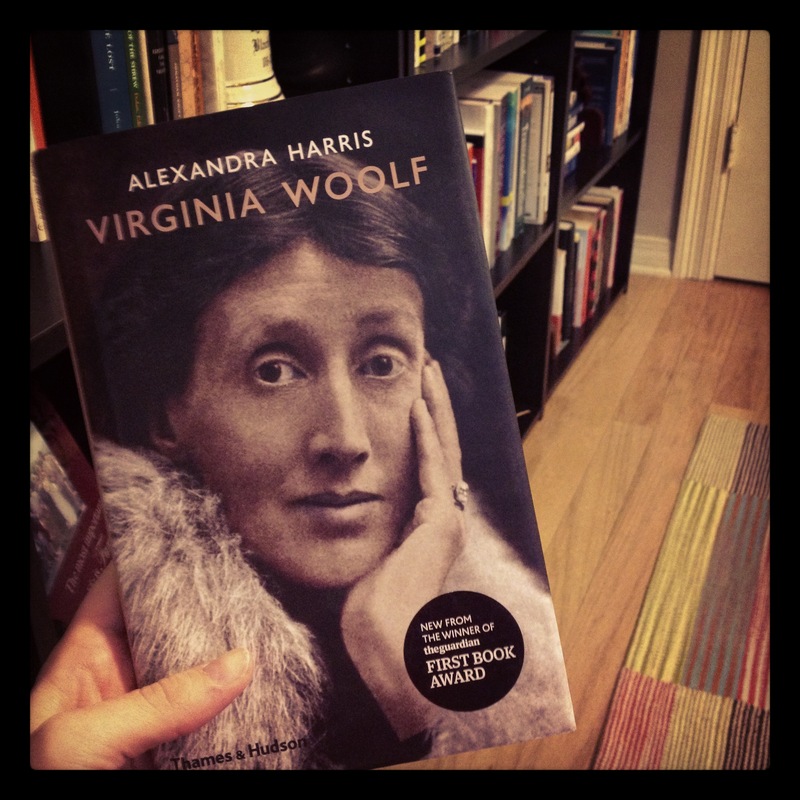 I was torn between three different texts when I noticed that one of three (Virginia Woolf by Alexandra Harris) was published on October 1st, 2011. Being that this was same day of the same year that Matt and I were married, I ordered a used copy of this text, taking the date coincidence as a small but useful sign. When the biography came in the mail, I was very pleased by the book itself. Being a sucker for book art and bookbinding, I felt drawn to the book’s tight frame and the way that the heavy pages fell open with such ease. I had not intended to start this book for a few weeks, but I couldn’t help myself. I sat down on the armchair in my office and began reading the book just moments after receiving it in the mail. Within a few paragraphs, I was struck by yet another coincidence. The book reported that Virginia Woolf was born on January 25th, 1882. Nothing of note there, except that I had received this book (a book I had only ordered because of a small “sign”) and began reading the book on January 25th, 2014, Woolf’s 132nd birthday. At this point, I told Matt about this fun coincidence and went on reading the biography. I was very interested in Woolf’s life, and I felt happy to be the kind of person who finds meaning in the smallest details. If the story ended here, there wouldn’t be a story – at least not one of note. Upon completing my reading list with my professor, Dr. Wilson, at ULL, I ordered yet another biography of Woolf from Amazon. 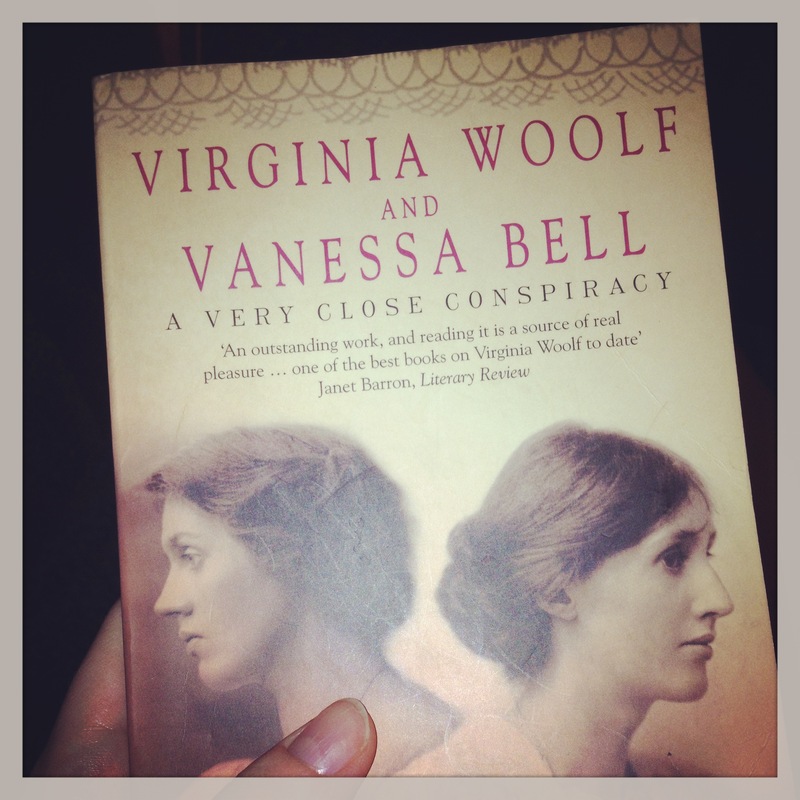 This time, I ordered Virginia Woolf and Vanessa Bell: A Very Close Conspiracy by Jane Dunn. This biography focuses specifically on Woolf and her relationship with her sister Vanessa Bell, who was a famous painter and fellow member of the Bloomsbury Group. Choosing which of the 50 used copies of this text on Amazon I wanted to order was harder than usual. I wanted a hardback, but many of them were ranked “new,” and so despite the fact that they were in the “used” category, they still cost more than I wanted to spend. Even in the paperback section, many of the books were overpriced, or if they were cheap it seemed to be because the book was badly damaged. I took probably an hour picking out which copy to order from Amazon and chose one that was medium priced and seemed to be in good enough shape. It would ship from a thrift store in Washington state. I received the book within just a few days. It arrived via USPS on an ordinary, magic-less day. I brought the package inside to our mail desk at the corner of our kitchen. Upon opening the package, I found the correct text I had ordered. I noted that it was even in better shape than I anticipated, so I prided myself on a good selection. Then, in thumbing through the book, I found a most surprising discovery. There, on the title page of the text was someone’s address sticker, one of the address stickers you often get in the mail for free, but this wasn’t just a random US address. In fact, I recognized the address immediately: 22 Hyde Park Gate, Kensington, London, England. For those of you who may not know, 22 Hyde Park Gate is the address of Woolf and Bell’s childhood home in London. It now serves as a museum/historical site, commemorating the famous writers and artists who lived there. 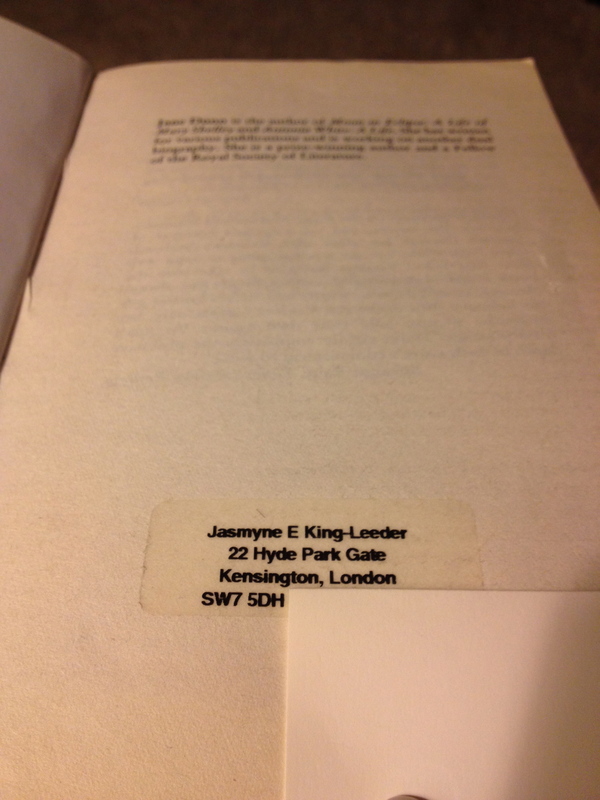 The address itself was unmistakable, but I didn’t recognize the name: Jasmyne E. King-Leeder. Google wasn’t much help either but then the thought occurred to me that if there were still tenants in 22 Hyde Park Gate, surely there was something about this on the location’s website. I was correct. In fact, according to 22hydeparkgate.com, Ms. King-Leeder is the only current tenant who resides in the six flat historical home. Effectually, the copy of this book I received (a copy I basically choose at random from several options on Amazon) was formerly the personal copy of the woman who now lives at 22 Hyde Park Gate, the home where Virginia Woolf and Vanessa Bell lived during their childhood. How did this book end up in a thrift store in Washington? Why did Ms. King-Leeder choose to get rid of her copy in the first place, a copy with her personal address inside? I have many questions about this experience, though I’m sure that for many I’ll never get an answer. There is one thing I know for sure, and that is that life is too ephemeral and meaningful to not indulge this kind of serendipity. I do not have a choice. I must write a letter to Ms. King-Leeder and try not to sound too crazy. I want to tell her about this experience and hope that she writes me back. I want to jump down this rabbit hole and fall as far as I can because… well, this could be just another story I share at cocktail parties, or it could, if I’m lucky, be the beginning of an adventure. Love this! I hope she writes back! Has she written back yet? You know, I never wrote or sent the letter. I did visit the house and knocked on the door, though 🙂 Perhaps, I’ll write the letter now.